John Hawksworth has worked in the TV and radio industry since 1990 and is an established member of the Sky Sports golf team. 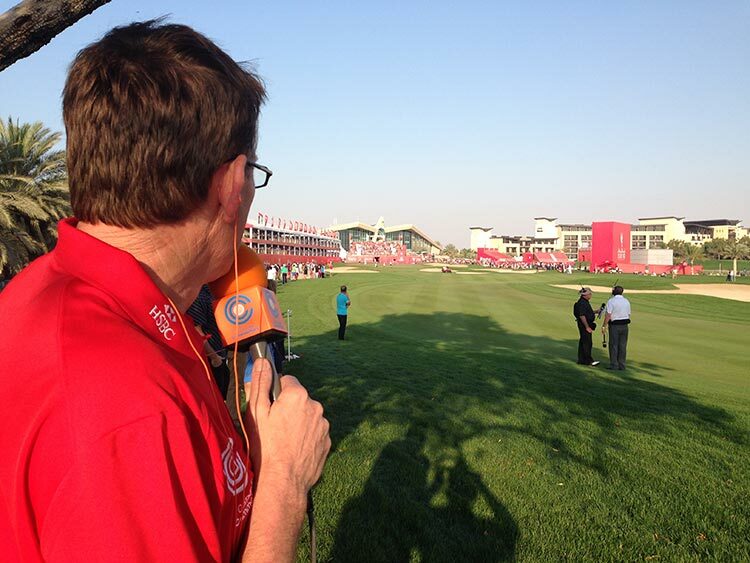 John has also appeared on BBC TV and Radio and on numerous ‘on course’ radio broadcasts, including working for several years at the HSBC Abu Dhabi Championship held in January. John spent many years playing on the European Tour and also played in four Open Championships. As a result he is able to give your clients a fascinating insight to life as a professional golfer. John’s close relationship with many of the players is second to none and this innovative listening experience is unrivalled. You can listen to him working together with former tour pro Robert Lee on the European Tour podcast every Tuesday.